advancements in the care of asthma patients, died yesterday. He was 72. Hargreave joined McMaster University in 1969 in the early days of the Michael G. DeGroote School of Medicine after his medical training at the University of Leeds, U.K. and work as a physician in that city and London. His studies in asthma changed the way the disease is diagnosed, as he developed innovative tests to measure airway responsiveness and airway inflammation and make decisions on clinical treatments. Hargreave was a leader in the change in focus from just treating asthma symptoms to preventing and controlling them. He was known as an excellent teacher, and he trained many of the world’s current leaders in asthma research. Hargreave was also one of the founders of the clinic which has become the Firestone Institute for Respiratory Health at McMaster and St. Joseph’s Healthcare Hamilton, growing it to become a world centre for investigation and treatment of asthma and chronic respiratory diseases. Respiratory disease impacts one in five Canadians. A former student of Hargreave was Paul O’Byrne, now chair of the Department of Medicine of the Michael G. DeGroote School of Medicine. 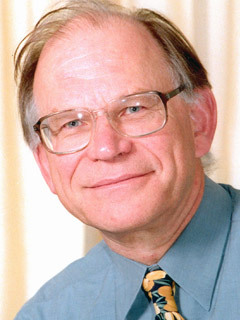 Hargreave retired in 2004, but he had continued to be involved in research studies. He leaves his wife Alix and three children. A memorial service will take place in Christ’s Church Cathedral, 252 James Street North, Hamilton at 2 p.m. on Thursday, June 23, 2011 followed by a reception to celebrate his life. I knew your father when he was a medical student at Leeds University, at the time he used to play rugby for Headingley. I was surfing the Internet, looking at independent schools for my grandchildren when I remembered Freddy and the school he had attended, Taunton in Somerset. After I had looked at the images I thought I would put in his name to see what he was up to now… I was very sad to see that he passed away last year. Lovely man, very fond of him. Heartfelt condolences.